AN INDIES INTRODUCE PICK (WINTER/SPRING 2019) Izzy, a practical-minded teen who intends to become a doctor, isn't happy about her recent move from the Lower East Side across the river to Brooklyn. She feels distanced from her family, especially her increasingly incomprehensible twin brother, as well as her new neighborhood. And then she meets Tristan. Tristan is a chess prodigy who lives with his aunt and looks up to his cousin, Marcus, who has watched out for him over the years. When he and Izzy meet one fateful night, together they tumble into a story as old and unstoppable as love itself. In debut author Shannon Dunlap's capable hands, the romance that has enthralled for 800 years is spun new. 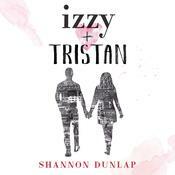 Told from several points of view, Izzy + Tristan is a love story for the ages and a love story for this very moment. This fast-paced novel is at once a gripping tale of first love and a sprawling epic about the bonds that tie us together and pull us apart and the different cultures and tensions that fill the contemporary American landscape. Izzy, a practical-minded teen who intends to become a doctor, isn't happy about her recent move from the Lower East Side across the river to Brooklyn. She feels distanced from her family, especially her increasingly incomprehensible twin brother, as well as her new neighborhood. And then she meets Tristan. Tristan is a chess prodigy who lives with his aunt and looks up to his cousin, Marcus, who has watched out for him over the years. When he and Izzy meet one fateful night, together they tumble into a story as old and unstoppable as love itself. In debut author Shannon Dunlap's capable hands, the romance that has enthralled for 800 years is spun new. 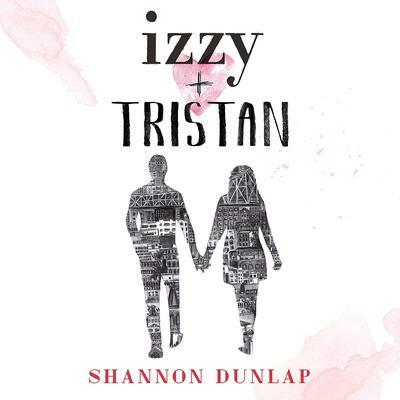 Told from several points of view, Izzy + Tristan is a love story for the ages and a love story for this very moment. This fast-paced novel is at once a gripping tale of first love and a sprawling epic about the bonds that tie us together and pull us apart and the different cultures and tensions that fill the contemporary American landscape. Shannon Dunlap is a graduate of the MFA program at New York University. Previously, she was a weekly columnist for The Phnom Penh Post and her work appears in the anthology How Does One Dress to Buy Dragonfruit? : True Stories of Expat Women in Asia (Signal 8 Press). She has written for The Harvard Business Review, Fah Thai magazine and Brave New Traveler. She currently lives in Brooklyn with her husband and baby daughter.